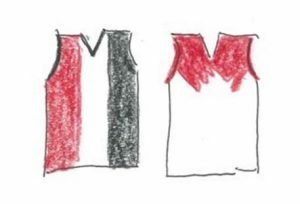 Round 12 – St Kilda v Sydney: What did we learn from this “Pride” game? Now in its third year, tonight’s “Pride” game reinforced the efforts that the St Kilda and Sydney Swans footy clubs have made in their commitment to help educate society on the issues that LGBTI people face, especially when attending the footy. This one match a year event highlights the need for understanding and acceptance, and supporter groups, such as Saints Pride and Rainbow Swans (the largest of the eight current AFL pride supporter groups), have also been instrumental in harnessing awareness and support. Ensconced in our seats in Aisle 37 (where else would a Swans fan want to sit!) on the top level at Etihad on Saturday night, the beautiful colours of the rainbow are everywhere: painted on the 50 metre line arcs, illuminated along the fence line, strategically placed around the ground as banners, flying as flags in the hands of fans, woven into the numbers of the St Kilda players’ guernseys, intertwined with the red and white of the Swans’ socks, and as scarves wound round our necks. The colours are vibrant, and the atmosphere warm and welcoming. We are even given the option of visiting a loo that best suits our disposition. I wonder how many chose to challenge the norm? As soon as the game starts, however, all eyes are on the footy. Driving down from Sydney earlier in the week I did wonder how this St Kilda team would perform. After their massive fourth quarter effort against West Coast the previous weekend, I also wondered about their energy levels and how the new stadium’s hard surface in Perth might have affected them. After all, we’d lost the week after returning from the West, so I was secretly hoping the young Saints wouldn’t be able to repeat their heroics from the previous week. Turns out I was right. Four Swans goals in the first eight minutes, then a bit of a lull, followed by five more in the last nine minutes was the story of the night. With a lead of 48 points at the first break, it was all a matter of how far we could go. Did we have the killer instinct to do as GWS had done earlier in the day to the poor old Suns? I certainly hoped so. The home team starts well in the second term with the first six-pointer, and for the early part of the quarter they control the ball, but their goal kicking is astray. Our boys, however, add five towards the end of the quarter, thanks to Joey Kennedy, Buddy, two to our up-and-coming champ Will Haywood, and Callum Sinclair, after the siren. 61 points ahead, and building percentage. The last half isn’t quite as I’d expected. Our 3.4 to their 1.2 in the third quarter isn’t particularly riveting footy, but after our first quarter bombardment, how can we compare? 75 points in the lead, and I want more in the final term. It wasn’t to happen. Pretty boring stuff actually. We missed several opportunities with our 2.5, and the Saints, who never stopped trying, finished the quarter ahead with 3.3. But, a 71 point win is pretty good! This game was all about that first quarter of ruthless, efficient, almost-perfect footy. As St Kilda coach Alan Richardson said after the game, “We were smashed. Beaten comprehensively by an outstanding footy team”. But, as our coach John Longmire pointed out at his press conference, when asked if the Swans were now on a roll, “We just need to put one foot in front of the other”. Never a truer word was spoken. Every team at this time of the year is still learning and experimenting, some obviously more so than others, and the Swans are no different. We need to continue mixing the young newcomers with the older experienced guys, and when Sam Reid and Lewis Melican are back from injuries, we can hopefully improve and play more like our first quarter effort tonight in all remaining matches. And they will be tough ones: nine against teams currently 1st to 12th. If our inspirational captain’s performance is an indication of what we have in store from the senior guys for the second half of the season, along with younger ones, Zac Jones, Isaac Heeney, Will Haywood, Ollie Florent, Ben Ronke, and the like, showing the class they did tonight, who knows what delights we can look forward to. So, what did we learn from tonight? We learnt from the opposition coach that we are a dammed good footy team. We learnt from our coach that we need to take it one week at a time. We learnt that we gained 7% in the all-important percentage game. We learnt that the “Pride” game is gaining momentum, and hopefully people are becoming more aware of the issues facing those who are somehow different from what society deems to be the norm. And, we have also learnt that, in 2018, despite some advances in equality and inclusiveness, some men playing at the elite level of footy still believe that the wrath of today’s society prevents them from declaring their true sexual identity. What heroes they will be when the timing is right! Let us hope that, soon, “Pride” games will no longer be required. Let us hope that all “Awareness” games will soon, no longer be required. Surely it’s about time. Seems to me though that that day is still, sadly, a long way off. How absolutely lovely to have all those rainbows at Etihad!!! I do hope that very soon all queer sportspeople will feel enormous pride in announcing their sexual orientation. I just love rainbows, and recently saw a double one in New Zealand. Spectacular! Apart from the LGBTI use of the rainbow, over the centuries rainbows have symbolised many things. In 1994, Desmund Tutu and Nelson Mandela described the post-apartheid South Africa as the ‘rainbow nation’. Having been competitive for the previous two matches against Richmond and West Coast, I expected Saints would fight hard in the pride game blockbuster. A few years ago, we were defeated heavily by the Eagles. We are still unable to beat your Swans, but I hope we will be the better side in the near future. I bet you enjoyed the trip and the game in Melbourne. By the way how is Marshall going these days? Marshall is coming along nicely, Yoshi. Thanks for asking. Lovely to see you and Marshall briefly before the game. It was a great first quarter, though sadly the Saints were poor. After that it was quite lacklustre, though as you noted a 71 point win and 7% boost were welcome. I’m particularly delighted with the ongoing development of Ollie, Will, George, Paps, Ronks, etc.. and still some upside for hopefully improved outputs from Hannebery and Jack to go with the return of Melican and Reid.